Barbie® Puts Malibu Dreamhouse® Up for Sale | Mattel Inc.
LOS ANGELES--(BUSINESS WIRE)-- Malibu, California's most fashionable resident is moving. Today Barbie® officially put her coastal Dreamhouse® on the market and is packing up her three-story pink palace — signaling the launch of a year-long global brand campaign. With the help of her realtor-to-the-stars Josh Altman, the impressively scaled Barbie® Dreamhouse® is currently listed on the market for $25 million*. Over the next few months, Barbie® will embark on a worldwide tour to find a new dream home. Barbie® has been a part of girls' dreams and imaginations for four generations, but for the first time, the brand is literally letting fans "into" her world by opening the doors to her palatial Dreamhouse®. This year's global campaign will feature real-life, life-sized experiences, online engagement and retail touch points that bring the Barbie® Dreamhouse® to life in new ways. "It wasn't an easy decision for Barbie to put her Dreamhouse on the market, but this move marks an unprecedented opportunity for her fans to get an inside look at her dreamy home," said Lori Pantel, vice president, global marketing for Barbie. 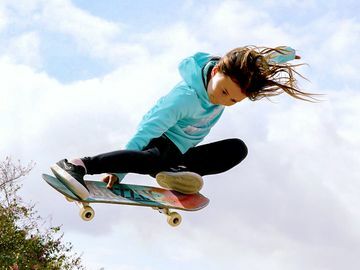 "As the brand continues to evolve, we are focused on creating new experiences that allow girls to step into Barbie's world in ways they never thought possible — igniting their imaginations and encouraging them to dream even bigger." For 41 years, Barbie® doll's famous Dreamhouse® has been a fictional Malibu landmark as well as one of the most coveted toy homes. The original Barbie® Dreamhouse® debuted in 1962, providing girls with the backdrop to "play house" with Barbie® which brought to life Ruth Handler's vision that Barbie® allows girls to role play real life scenarios. Each model has represented the era the house was "built" in with unique architectural features and interior design details, including a three-story model in 2012. As a successful career woman and homeowner, the Barbie® Dreamhouse® is one of her most valuable assets. 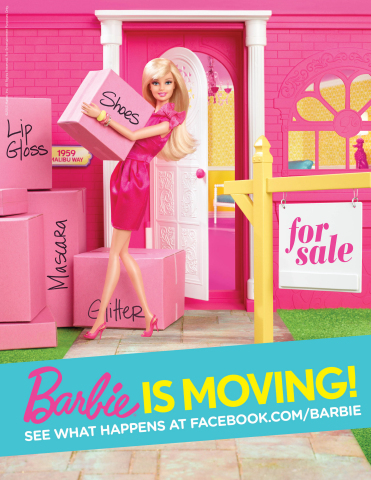 After decades of living in Malibu, Barbie® is ready for a change — she's moving. To sell her house and make the move, Barbie® has enlisted the premier real estate agent to celebrities, Josh Altman. Valued at $25 million*, her creatively scaled 8,500 square foot, three-story, one-bedroom, one-bathroom mansion is the only house in Malibu with truly unobstructed views of the ocean — after all, it only has three walls! The Dreamhouse® also includes the iconic pink elevator equipped with a state-of-the-art pulley system. Altman has listed the Dreamhouse® online exclusively at Trulia (NYSE: TRLA), a leading online marketplace for home buyers, sellers, renters, and real estate professionals. Visit Trulia.com/Barbie to view the listing. "Celebrity can add to the cache of a listing, but few homes also have such iconic status as Barbie's Malibu Dreamhouse," said Altman. "I've been uniting people with their very own dream homes for years and Malibu is considered one of the most desirable addresses in the world, making this one-of-a-kind property a realtor's dream listing." In search of a new place to call home, Barbie® will embark on a worldwide scouting tour where she will enlist the help of a "Dream Team" of designers to provide her with advice and inspiration to make a decision on her new home. Over the years, Barbie® has served as creative muse and inspiration to hundreds of designers and stylists developing relationships with the best of the best. This year, Barbie® is partnering with a group of admired style setters, designers and industry experts to re-imagine the Barbie® Dreamhouse® for today. The Barbie® Dream Team of interior designers include Los Angeles-based textile designer and design influencer Lulu Dekwiatkowski, New York/Palm Beach based designer Celerie Kemble and West Coast fashion and home product designer Trina Turk. Barbie® will open the doors to her Dreamhouse® with the first-ever, larger than life "Barbie™ The Dreamhouse Experience" which will debut on two continents — Florida in the United States and Berlin, Germany in March. Inspired by the popular web series, Barbie™ Life in the Dreamhouse, this interactive installation celebrates Barbie® doll's fabulous life, allowing fans a look inside her pink palace. Fans can visit www.barbiedreamhouse.com for ticket pricing and more information. Girls can get an all-access digital pass into the Dreamhouse® with the third season of the CGI-animated reality web series, "Barbie™ Life in the Dreamhouse." The lighthearted, humorous show airs on Barbie.com/Dreamhouse, and stars Barbie® and her friends, her sisters, adorable pets and long-time boyfriend, Ken®. With more than 300 million views, translated into 21 different languages, mobile- and tablet-optimization and global distribution, girls can visit the Dreamhouse® anytime and anywhere. On Barbie.com, the top online destination for girls reaching 13 million unique visitors around the world monthly, girls can make their dreams a reality by customizing their own Dreamhouse®. Girls can now also cruise the world in style with fun, fashion and runway moments onboard Royal Caribbean International with the "Barbie™ Premium Experience." Available fleetwide this March, the onboard Barbie® package lets girls sleep in Barbie-themed staterooms, attend a Barbie tea party and design Barbie outfits while on the high seas. Mega Bloks® and Barbie® are transforming the way girls can build, design and decorate their Barbie® world with the global launch of Mega Bloks Barbie™ — the first-ever Barbie™ building collection designed specifically for girls. The complete construction toyline — including a Dreamhouse-inspired Luxury Mansion -- lets girls literally build Barbie® doll's world — piece by piece. This fall, girls will have the ultimate play experience with a newly-designed Dreamhouse®. Complete with two pink elevators, the 2013 Barbie® Dreamhouse® is sure to be the must-have gift for the holidays. Visit Barbie on Facebook (Facebook.com/Barbie) for the latest on her moving adventures. For additional photography, video footage and background information on Barbie® and her Dreamhouse, please visit www.BarbieMedia.com. Mattel, Inc. (NASDAQ:MAT) is the worldwide leader in the design, manufacture and marketing of toys and family products. The Mattel family is comprised of such best-selling brands as Barbie®, the most popular fashion doll ever introduced, Hot Wheels®, Monster High®, American Girl®, Thomas & Friends®, Fisher-Price® brands, including, Little People®, Power Wheels®, as well as a wide array of entertainment-inspired toy lines. In 2013, Mattel was named as one of FORTUNE Magazine's "100 Best Companies to Work For" for the sixth year in a row. Mattel also is ranked among Corporate Responsibility Magazine's "100 Best Corporate Citizens." With worldwide headquarters in El Segundo, Calif., Mattel employs approximately 30,000 people in 40 countries and territories and sells products in more than 150 nations. At Mattel, we are Creating the Future of Play. Visit us at www.mattel.com, www.facebook.com/mattel or www.twitter.com/mattel.